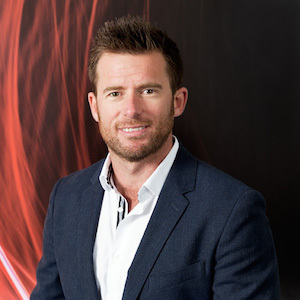 Michael Hutchings has honed his professional experience in both New Zealand and London. This experience encompasses office developments, hotels, mixed use developments, apartments and schools, in Design, Project Management and Contracts Management. Michael’s career began in Wellington, with the Century City Apartments developments. On moving to London he was Project Manager and Employer’s Agent (UK equivalent of Engineer to the Contact) on Holbrook House and the £75 million 20 Gracechurch Street Offices. Both major refurbishments entailed fulfilling Landlord Representative roles, following letting of the multi-tenanted buildings. In addition, Michael managed the 150-room Chancery Court Hotel refurbishment project in a live environment. Before returning to New Zealand, Michael worked on the Master Planning of the mixed-use Caxton House development – including demolition of existing structures and interfacing with National Rail. Since returning to New Zealand Michael has successfully project managed the 4000sqm Building 1 at Central Park including a Commercial New Build and partial fitout for Youi Insurance, DHL at the Landing, a 12,000sqm warehouse and 400sqm Office Development, and a 5-storey car parking building at Central Park.